The leaders of beleaguered carrier Celadon Group said they were focused on “getting back to basics” after a year of turmoil and an inevitable delisting of its stock by the New York Stock Exchange. CEO Paul Svindland told Transport Topics that Celadon is working on building a “more concentrated and focused network” as it cuts back to servicing about 1,000 lanes from Kansas east to the Carolinas and from Canada to Mexico. That has paid off this year with a 20% rise in revenue-per-loaded-mile and revenue-per-truck-per-week numbers, he said. “We just want to be a boring, old trucking firm. You do that right, and you can make money,” Svindland said. Still, the company has a long road ahead. The NYSE suspended trading in Celadon stock April 3 after the company acknowledged it could not meet a May deadline to submit required financial reports from 2016 and 2017. Celadon disclosed in a filing with the Securities and Exchange Commission that its problems may date more than five years as it planned to adjust its financial statements for 2014 to 2017, and possibly periods before that. “The accounting adjustments will be significant to prior period earnings and to our total stockholders’ equity,” Svindland said in the filing. Celadon stock closed on the NYSE at $3.45. According to NYSE rules, the delisting will occur about 10 days after the exchange files appropriate paper work with SEC. The stock now trades on the OTC Markets Group’s Pink Open Market, where it sold for $1.35. A little more than a year ago Celadon was a carrier with more than $1 billion in revenue, 3,575 company-owned tractors and 15,000 trailers. The Indianapolis-based carrier ranks No. 33 on the Transport Topics Top 100 list of the largest for-hire carriers in North America. 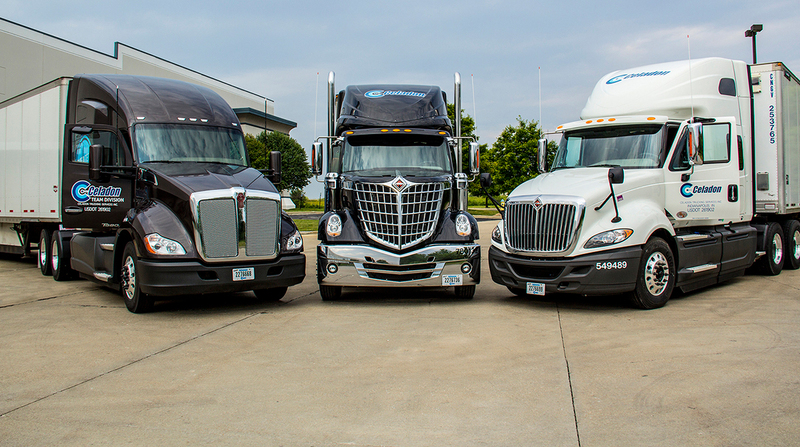 Celadon’s humbling began in April 2017, when investment firm Prescience Point Research Group reported the company had overstated the value of hundreds of trucks held by 19th Century Capital Group, an entity set up in 2014 by Celadon and Element Fleet Management to lease vehicles to fleets and owner-operators. The arrangement started well, but tractor prices and lease utilization rates weakened. That caused losses for Element, and Celadon was obligated under its contract to make up a portion of the losses, according to Prescience. Celadon’s then-auditor, BKD, withdrew its support of the company’s financial statements for the previous three fiscal quarters, claiming there weren’t sufficient documents on the value of used trucks. SEC said it would investigate the issue, and Celadon brought in another accounting firm to conduct an outside audit of its finances and financial statements. Celadon’s last quarterly report on SEC’s website covers the period ending Dec. 31, 2016. Albrecht and Svindland joined Celadon last year as part of a management shakeup. That, the sale of its flatbed division to PS Logistics, reductions in its domestic fleet and other trims have Celadon coming back, Svindland said. The company also reported it had entered into the eighth amendment of its credit agreement with its creditors that include Bank of America Business Credit and Wells Fargo Capital Finance. Albrecht declined to predict when the company will finish its financial review and submit all the documents it has promised to deliver to regulators.